Careers in The Sims 4 are basically just watching your Sim get into a car, go to a location you can’t visit, and then waiting for them to get back. Jobs usually take place in a set location, for and at a set period of time. Even for the more tumultuous careers, like being a Chef or an Entertainer, this predictable system works. For others, it makes less sense. The Sims 4 launched with a Writer career, and when I first played the game while still freelancing, that made me laugh. A job? In writing? In this economy? 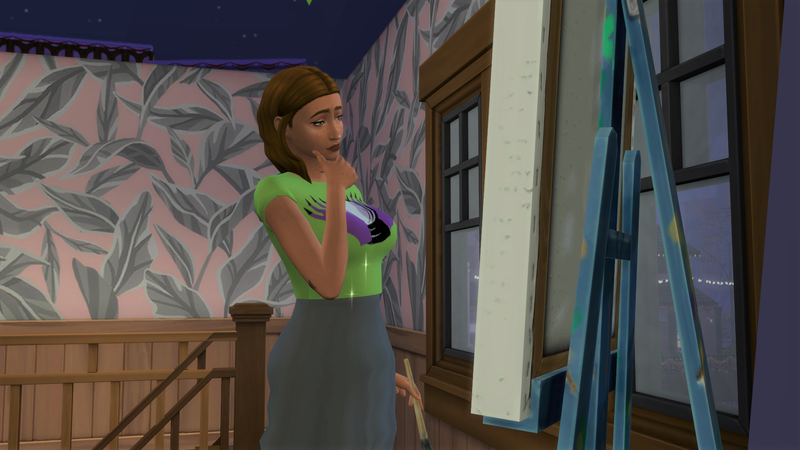 In this month’s update, The Sims 4 will introduce a new kind of career that rings more true to life. As described by producer Graham Nardone and designer Arnold Chow on thing month’s livestream about upcoming content for The Sims 4, being a freelancer in The Sims will be a combination of different mechanics that were introduced in previous updates and expansions. Nardone also said that freelancer careers will have some elements of the Acting career from Get Famous, where Sims were represented by a talent agency that brought them gigs. As a freelancer, your Sims will ask their agency for gigs, you select one from a list, and then the Sim finishes that project for a client. Clients then have the ability to accept or reject the work when they recieve it. If they reject it, Sims will have to rework that project in order to get paid. Freelancer Sims can work in art, writing and programming, and they get new clothes that Chow dubbed “home office chic” on the stream. These freelancer Sims look pretty stylin’, and also much happier than I remember being as a freelancer. Nardone and Chow also mentioned that in the coming six months, The Sims 4 will also get a new stuff pack, game pack and expansion pack. I appreciate The Sims 4 adding freelancer-style careers. This is increasingly how people enter the workforce, and with fewer and fewer jobs, especially in the arts, writing and in tech, many people stay as freelancers for a long time. I used to kind of romanticize the time I spent working like a madwoman all day and night, throwing myself into as many projects as possible to stay afloat financially. Soon, I’ll be able to relive that experience in The Sims 4. Yay?